As a Youth Librarian my to-read pile is generally heavily weighted towards teen fiction, but other than that I'm a pretty indiscriminate reader! I flit from topic to topic like an easily distracted fantail, switching from fantasy/scifi to reading about native birds to vintage crime novels. When I'm not struggling to finish my to-read pile I'm playing board games, searching for tui in the Port Hills, or hassling the cat. My book lists can all be found here; my lists include my favourite Young Adult fiction of 2017, microhistories, and favourite non-Western fantasy/scifi. Follow Alina in our catalogue. Fans of The Hate U Give will enjoy this short but incisive novel of complicated friendship and race relations. 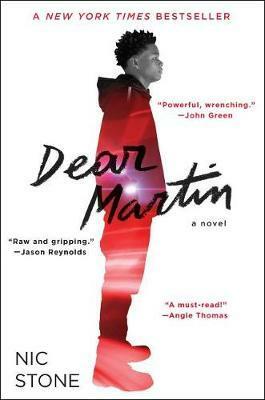 Tired of being profiled by society and feeling like an outsider at his new prestigious school, Justyce McAllister looks to Dr. Martin Luther King Jr for answers. But when Justyce is shot at while driving with a friend, simply for having the music up too loud, he's drawn into a media nightmare where he's the target. Really good classic fantasy set in medieval Russia, perfect for when the weather's bleak outside. 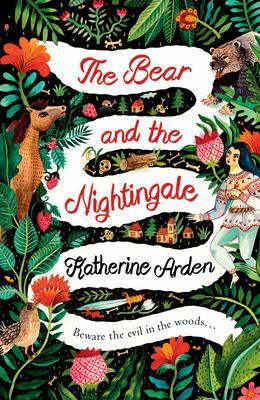 After Vasilisa's mother dies her stepmother turns out to be stereotypically awful, fiercely devout and afraid of the old household spirits that only they can see, forbidding their traditional rituals. Soon their town's defences start to lower as each season brings fire, famine and those they bury return in the night. Vasilisa must choose to defy her family and community in order to defend them from the creatures they refuse to believe exist. I'm loving Betrayal at House on the Hill for its spooky scenarios and surprise traitors, and Forbidden Island is a great cooperative game with great art that is surprisingly tense. I've been spending my evenings looking at beautifully weird native trees and shrubs to plant in the hopes that one day I'll see more than sparrows and blackbirds in the garden. Still a big fan of Jane the Virgin which is a delightfully silly telenovela, looking forward with anticipation? trepidation? to the New Zealand Bake Off series, and I don't know what I'll do when I run out of Brooklyn Nine-Nine to watch. Jake is such a golden retriever of a person, I love it. Our new central library (Tūranga) finally opening! Also looking forward to reading the Murderbot sequels by Martha Wells, seeing the TV adaptation of NK Jemisin's intense Fifth Season books, and listening to Robert Webb in a couple of weeks as he talks about his book, How Not to be a Boy. Cookbooks with no pictures, books about sad professors having affairs with students, anything too literary to resolve the ending.